With Tom on the train. 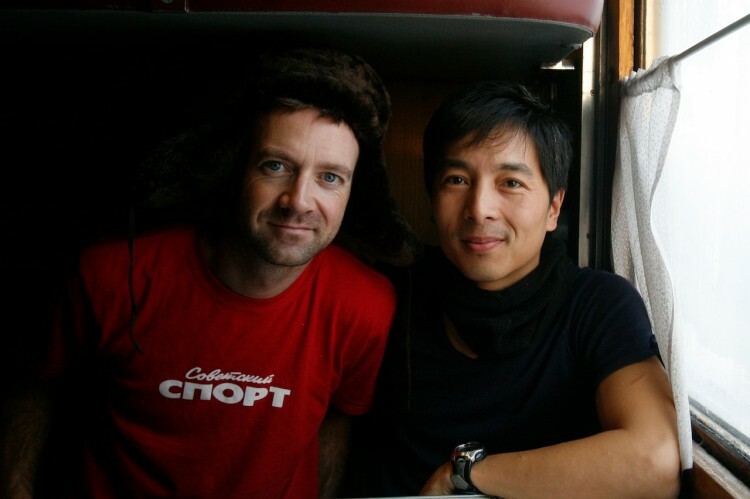 When I first went to the Arctic in 2009, I headed north on a 40-hour train journey with my good friend and writer Tom Parfitt from Moscow. Outside the window, tall birch trees gradually shrank, becoming shrubs; soon only twigs stuck out of the snow. When, finally, darkness enshrouds landscape of ice and snow, we knew we had arrived in the extreme North. In this apartment block on the edge of the tundra in Yor Shor village outside Vorkuta town, only one family is left. Since then, I returned to the Arctic five times, mostly alone to photograph the bleak land and its people. 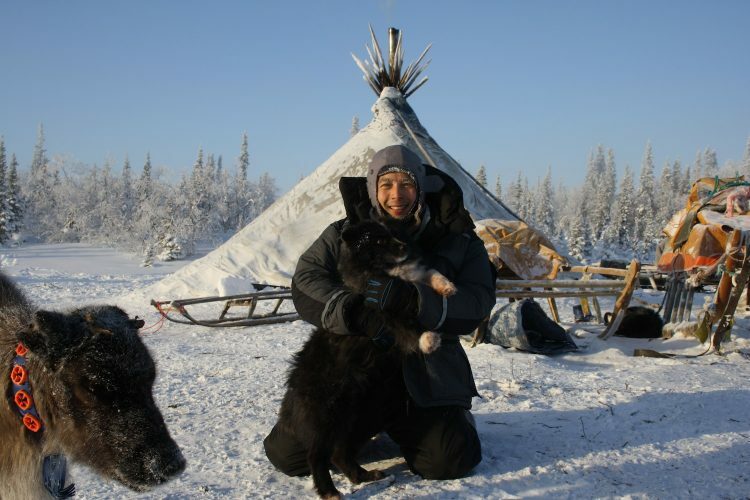 Among the experiences that stuck most in my mind was meeting with the Nenets, indigenous nomads who live in yurts (tents) in the windswept tundra, herding reindeers for a living. After traveling for hours on the back of a snowmobile in -40 C (plus windchill, I think it’s around -60 C), I felt like a corpse. My host, Evgenia, hurried me inside the warm tent and offered me a wide metal bowl with what seemed like red berry preserve in its own juice. “It’s frozen reindeer brain, our delicacy,” he said. My next lone visit to look at the effects of oil and gas exploration presented challenges in other ways. A Nenets herder collects his reindeers in -40C (-40F) in the Arctic tundra outside in the Russian Nenets Autonomous Region. The Arctic crystallizes all the contradictions I experienced during five years living in Russia. Here is poetic beauty spread over seemingly endless pristine nature; yet in this vast land, there stand some of the most polluted towns on earth. Here is abundant wealth and military power, but also large-scale unemployment and widespread alcoholism. Nickel factory pollution exterminates Arctic wildlife. Preparing for the Russian winter, I joined the locals for winter swim. Here the air temperature in Moscow was -22 C.
This sauna, powered by the diesel tank on the left, is the hottest I ever went into. When the men get too hot, they run outside to rub snow on themselves. With frequent snow storms and temperatures plunging below -45 C, I had a hard time keeping my camera working. My Canon broke down, and when I took it for repair in Amsterdam, the technician asked where I had brought it — the shutter was destroyed. Halfway through the project I felt like giving up. The cold and darkness was bad, but what made it terrible was the hopelessness, isolation and the secret police — sometimes imaginary, sometimes real, as when two guys with rolled-up newspaper followed my every step in one town. It was during my psychological low point that I received a call from Magnum Foundation in New York, telling me I had received an award and a substantial grant for this work. Knowing I was not alone in this forlorn hinterland gave me the impetus to carry on. 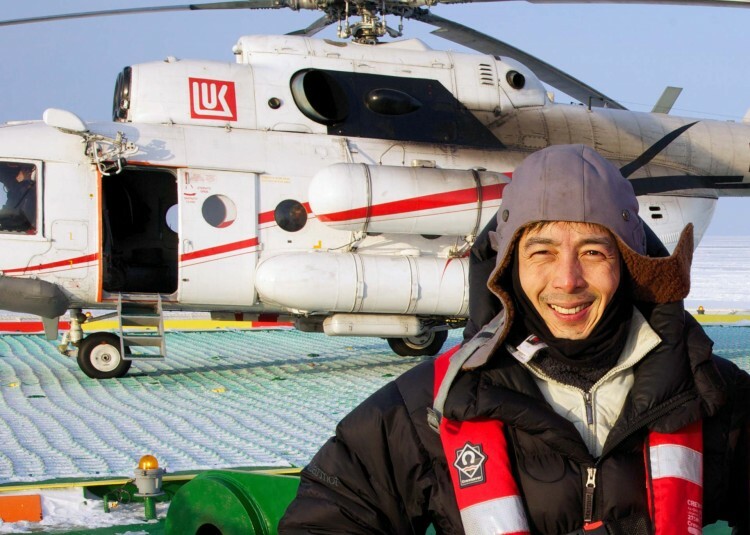 One of the toughest things about working in the Russian Arctic was getting access to the energy fields. I had support from Geo Magazine’s Director of Photography Ruth Eichhorn, who gave me the mandate to pursue the story for her magazine. It took us three months together to get permission to enter and fly above the Russian arctic. We wrote letters to all levels, starting from the press assistant all the way to the company CEOs and senior government officials, each step tougher than the last. Geo assigned writer Diana Laartz to work with me. 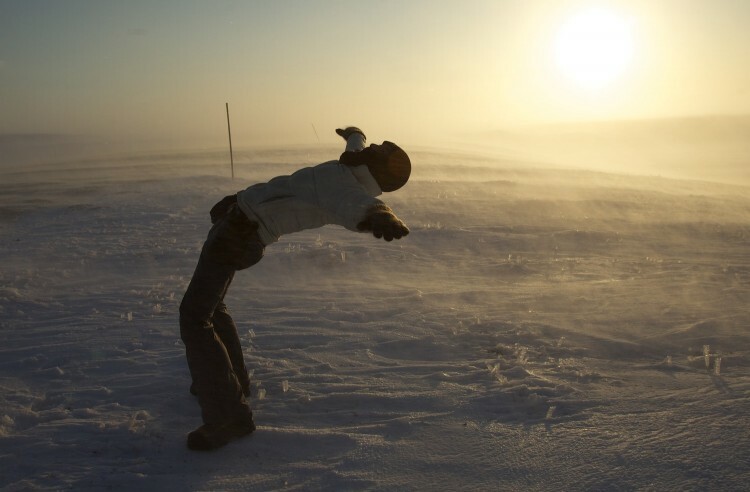 A fellow Russian-speaker, we hitch-hiked for almost three weeks across the tundra. An aerial view of the world’s most northerly oil terminal. Geo writer Diana Laarz and photographer Justin Jin. After four winters and six visits, the Arctic work reached a landmark. In September 2012 it premiered at the Visa Pour L’Image Festival at Perpignan, France. Here, international photographers and photo editors gather from to meet one another and view work from around the world. Geo Magazine published my Arctic work as the title story on a January 2013 relaunch issue.